Square Enix Collective and Demimonde have announced that Octahedron: Transfixed Edition will release on Nintendo Switch this month. In this psychedelic neon action platformer, the player must defy gravity by pulling platforms from thin air while surfing through levels to a relentless and hypnotising beat. The game’s soundtrack has everything from uplifting to atmospheric tunes, whether that be chiptune trance over synthwave or progressive house – penned by Chipzel, André Sobota, Monomirror and others. “I’m super excited to be bringing Octahedron to the Nintendo Switch! It is such an amazing fit for the platform. I spent a lot of extra time adding special content to this new edition of the game!” enthused Octahedron: Transfixed Edition creator Marco Guardia. 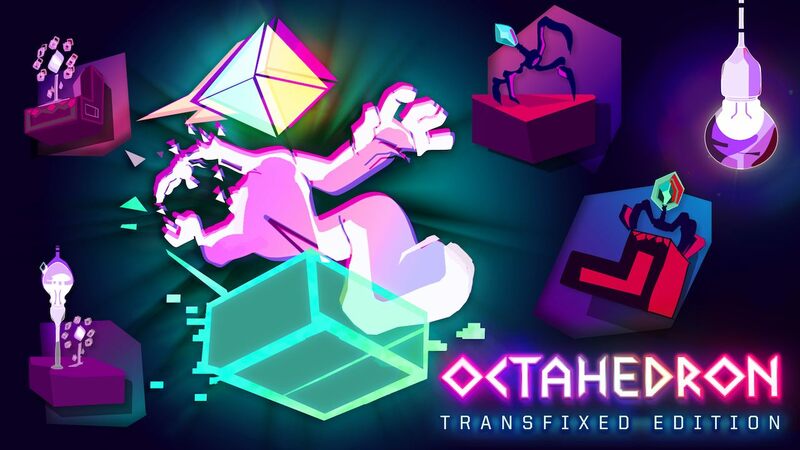 Octahedron: Transfixed Edition will release on the Nintendo eShop for Nintendo Switch worldwide on January 17th priced at £9.99 (€12.99/$12.99), with a 25 percent pre-purchase discount now available.